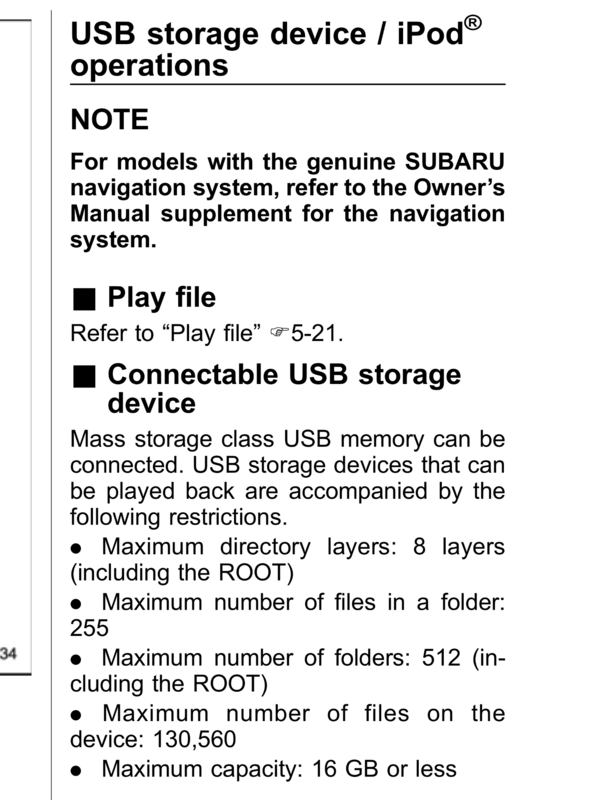 Why is my 2015 Subaru Forester only showing me some of my music stored on USB? I had a customer call me about this issue back in February. Sure enough I got to his house and it only was showing 255 songs on his flash drive when he literally had thousands of songs stored on the drive. Buried deep in his owners manual there was an interesting set of rules involving how to store music on your flash drive for use on your Subaru’s StarLink system. The issue was that the customer had was that all of his music was in one folder. Once he went back and organized his music into folders for each band and album everything played exactly as it should. I’m sure this applies to other touch screen StarLink systems, and I’ll update this post’s tags once I come across this issue in the future. ...a collection of issues resolved, frequently asked questions, and helpful tips. This is mostly a place where I can organize all this for my own benefit. After all, it's hard to remember all the issues and fixes for all 21 brands that West Herr sells! I decided to publish this as a blog so others with similar questions and problems can hopefully find some answers.